Mikey Jayy here! I hope you're doing great! If you haven't submitted to participate in the 2014 Artists In Music Awards, time is running out. 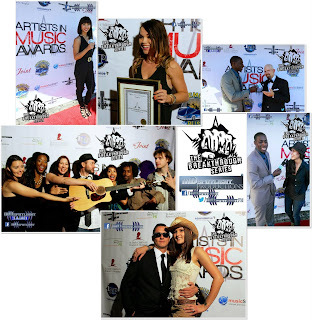 Go to http://www.aimusicawards.com/#!submit/c1x9v and submit today. The last day to submit is November 1, 2013 at Midnight PST. We had an amazing month with the Breakthrough Series back on September 22 and thank you to everyone that attended! We had a great show as we celebrated Romane Simon’s birthday. He’s the Founder and CEO of LA Live the Show and we also hosted MK Ultra’s CD release party as he headlined our event at The Joint. We even had a surprise celebrity turn out. The entire cast of Fuse's Ex-Wives of Rock walk our Red Carpet. 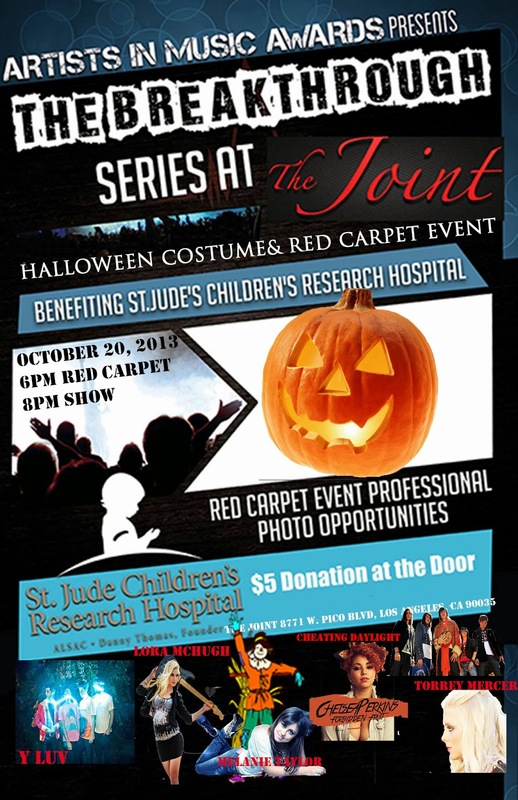 Our event will also benefit St Jude Children's Research Hospital, so please make an extra donation if you can. We already have confirmed media including LA LIVE the Show and InDSpotlight TV. We will have 20 foot of Red Carpet so no one will be left out. We also confirmed the line up for November 10th, so SAVE THE DATE!